Southern hospitality mixed with Victorian Charm is what you'll receive when you stay at Southern Comfort. 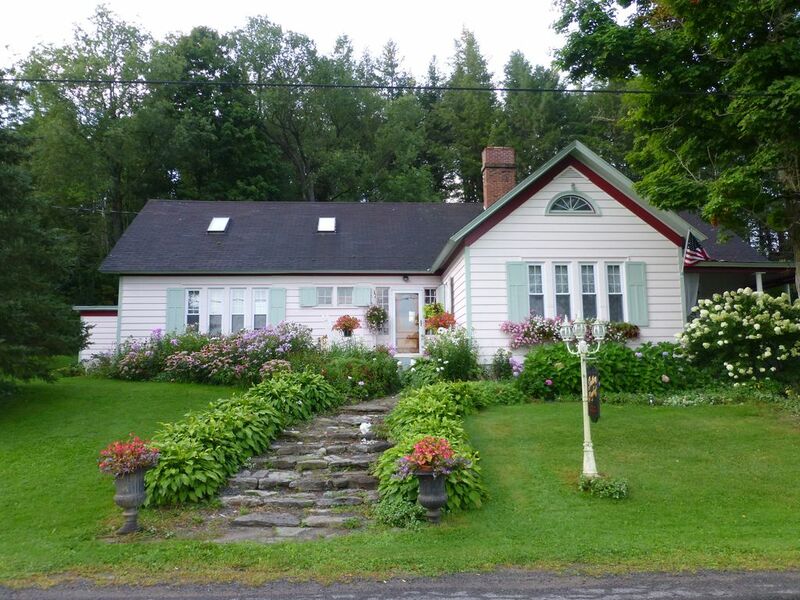 This early 1900's home boasts three impeccable, individually motif rooms and a four bedroom suite, close to Cooperstown. Built in 1900, this 2-story 3,300 sq ft country home rests on 7 acres with a small pond and adjoins 40 acres with walking trails and a large pond. Southern Comfort is nestled in a country setting a scenic 20 minutes from Cooperstown, NY. There is plenty of room for badminton, volleyball, or chasing fireflies at night or for taking a quiet walk in the serene, nature filled forest.We are conveniently located near the village of Cooperstown, Dreams Park, the Baseball Hall of Fame, and many other historic landmarks. A romantic night of southern grace and hospitality awaits you in Lady Pamela's Room. Slumber on a luxurious, hand carved, queen size, four-poster bed nestled beneath a delicate canopy in a warm, rich room with private bath. Lady Jadyn's Room will immerse you in the roar of the 1920's. The rich ambiance of an lovely walnut double bed from 1860, mixed with the comfort of original floors, antique marble-topped walnut dresser, and rich tones of wine and apricot will greet you. True Victorian opulence defines Lady Verge's Room. This tribute to Victorian style features an antique four-poster queen bed, an original oak floor and antique oak furniture. Shared bath with whirlpool tub. A contemporary relaxed atmosphere welcomes your family in the Lady Wyntre Suite. This warm upstairs chalet is perfect for relaxing with lush carpeting, informal family style, and 4 beds (1 double and 3 single) with a separate, private bath. Southern Comfort is located 20 minutes from Cooperstown in a rural area which gets you away from the hustle and bustle of the tourist town, yet close enough to enjoy the attractions. You can spend the day at the Baseball Hall of Fame and return to a quiet, relaxing, luxurious experience in our spacious home. Large modern refrigerator and freezer. Full modern kitchen with breakfast bar. Southern Comfort is a scenic (20 minute) drive to Cooperstown, NY, with its National Baseball Hall of Fame, Glimmer Glass Festival/Opera, and numerous other attractions.